Now in its 10th year, LEVITATION will be taking over Red River from April 26-29. Previously at Carson Creek Ranch, the event has returned to showcase its diverse lineup of artists in the Red River Cultural District as a multi-venue music festival. This time around, there will be several stages and venues for fans to choose and they’re all within walking distance from one another. These venues include the Mohawk, Barracuda, Empire Control Room, Cheer Up Charlies and more; Emo’s will also host bands on East Riverside, just a short drive from downtown. 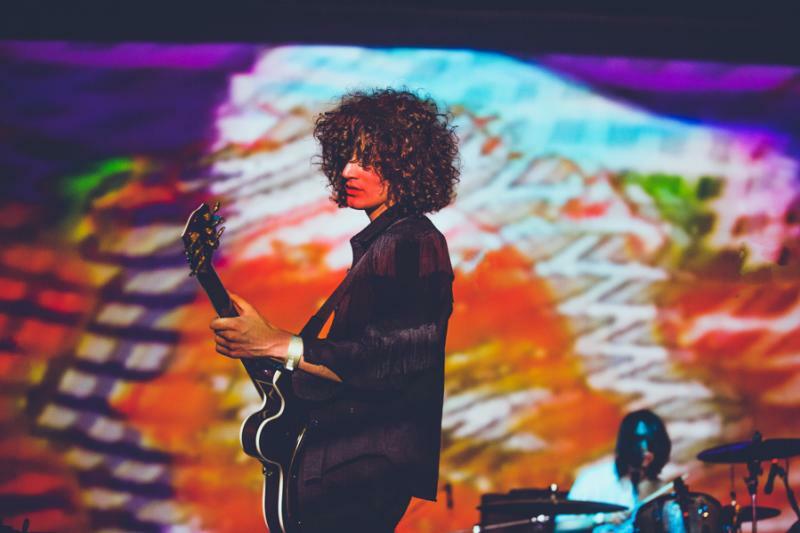 Temples at LEVITATION. Credit Pooneh Ghana. One of the most exciting changes to the festival is that there is now a variety of ticket choices to better fit the different types of festival-goers. Attendees have the choice of buying either single show tickets for specific venues, or a festival pass for all four days. Find more details and buy your tickets here. This Austin-based band is one of the veteran players and headliners of LEVITATION. First making their debut in 2004, the band is best known for their contemporary psychedelic sound, where they continue to propel the genre into the new realms of today’s sound. You can catch them performing Sunday, April 29 at Stubb’s BBQ. The group has built up a heavy buzz in the industry or their deep and darkwave beats that’ll put audiences into a trance. When performing, The Soft Moon create a full sensory experience to remember, as the group always incorporates visual elements and a light show reminiscent of the 1960s. The group will be performing a special show April 20 at Barracuda before LEVITATION officially kicks off on April 26. One of the best punk-rock groups coming out of Austin, the fast-paced beats and hard-hitting vocals from lead singer Sabrina Ellis will drive crowds into a frenzy (expect lots of crowd surfing!). Catch the group performing their LEVITATION set at Stubb’s BBQ on Thursday, April 26. Well-known for their explosive shows, Octopus Project got their start in Austin in 1999. All their members of the band alternate instruments during sets, using a mix of keyboards, drum machines and synthesizers to achieve an irresistible, bouncy electronic pop sound that will get audiences jumping. The group will be performing Saturday, April 28 at the Empire Control Room. This singer is not afraid to test the limits of music. From gothic rock to the influence of delicate folk music, Chelsea Wolfe manages to conjure up both dark and beautiful simultaneously. Catch her performing at Emo’s on Saturday, April 28! Contributed by Ashley Guevara, Austin Music Office Intern.